His father was not murdered. His father died at Kodaikanal on June 13th 1966. Many people were present when his father died. No one suspected any foul play. His father’s funeral lasted 11 days with many family members present. There was no secrecy regarding his father’s death and funeral. G. Venkataraman: This is from the article written by an Icelander now living in Sweden. He says a lot of horrible things. This is what he says: ‘In a bold style, Mr. Venkatamuni of Madras, India was killed at Madurai by ‘Sai Baba gang’ and then after getting death certificate from the doctors, taken to Madras by Sathya Sai Baba in his own car and cremated without giving any information to the police, and thus hushing up the matter. Afterwards, the doctors who gave the certificates also succumbed to death. The narration can be read in August 1993 volume of the ‘Indian Skeptic’. Now this is a very clever way of speaking. The first question to you is when did your father die? And please tell us how he died. Mr. Praveen Venkatamuni: My father breathed his last on Swami’s lap on June 13, 1966. At that time, somewhere around May, Swami had come to Chennai en-route to Kodaikanal (then, Madras) and told my mother: “I am taking Venkatamuni with me, have you any objection?” She said: ‘No Swami, I have no objection, You can take him to Kodaikanal’. So, we left in a fleet of cars. I was a part of the entourage along with Mr. Goganeni Venkateswara Rao, Mr. Kamavadhani, Mr. Chini Rao – the third son of Mrs. Anjali Devi, the film actress, Mr. Dasaratharama Reddy and a few others. So, we were all there and I was about 14-15 years old at that time. We all went to Kodai Kanal and stayed in the guest house of Mr. Narasimhachary, who was a long-standing devotee of Bhagavan. It was situated right on the lake. We stayed there for about 10-15 days and Swami used to go round the lake on a walk and we used to accompany Him. Lots of people used to come and look at Him and return. This was in May-June 1966. And a couple of occasions, we went boating in the lake too. Few used to come to see Swami at that time. He was very free and I was given the duty of carrying His tambulam (beetle leaf) box. I did not know how to prepare it but was given the duty to carry it all along wherever Swami went. So we were there for about 10-15 days and after that we began to return. We left Kodai Kanal and reached Madurai, where the organization had organized a public meeting for Bhagavan. We stayed in Mr. Subramanyam Chettiar’s house in Satya Sai Nagar. It was very hot, being June, and the public program with a Divine discourse was organised. 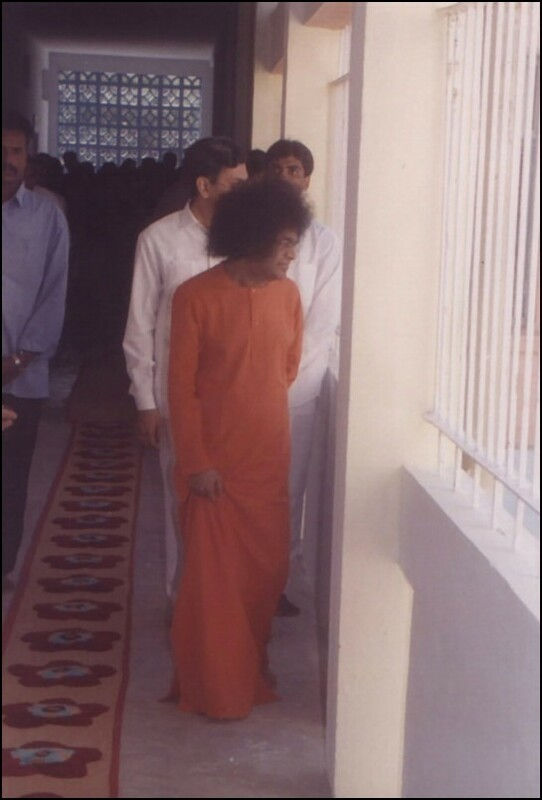 Swami was supposed to leave for Brindavan the next day by car. My father and I were supposed to return to Madras. So, Swami was asking us if we would like to accompany Him to Brindavan, but my father said that it was already 15 days since he had come and he had a lot of work to attend to at his office. So, he asked to permit him to go to Madras first, and then visit Brindavan. We were all staying in Mr. Chettiar’s house. We had booked tickets to return to Madras by train for June 14. And Swami was to leave on the morning of June 15. On June 13 was scheduled Swami’s discourse. We were all staying with Swami and had dinner with Him on the 13th. Being summer, Swami suggested, “Why don’t we have beds in the open terrace?” Swami was in His room and we were all sleeping in the open terrace. We finished dinner and returned to His room, and we were sitting and discussing about Swami’s discourse and Him on the terrace. Suddenly, Swami walked onto the terrace and we all stood up. Swami asked all of us to sit down. Then, He went and sat on the bed of my father, which was on the floor. So, father starting getting up as a mark to respect for Swami, and he said, ‘Swami, I am feeling very giddy; I am going to faint’. So, Swami immediately stood up, caught hold of him and made him sit down slowly saying: “Venkatamuni, everything will be alright. Don’t worry, I am here”. And at the same time, he had a bout of breathing trouble. We were all there watching the entire incident, about 10-15 people, including the members of the Chettiar family. So, immediately, Swami made him sit on the bed and He too sat beside him. Swami then put my father’s head onto His lap (though my father was reluctant), and just then he breathed his last in Swami’s lap. We were all simply watching. We thought he has fainted as he was a diabetic. I was a kid then and did not know much about the right medication in such situations. A doctor was summoned who confirmed his death. We were all taken aback; we did not know what to do. Swami took control of the entire proceedings and said that we were leaving to Madras the same night. So, police permission was obtained. I was told a doctor’s death certificate was also obtained. I am not able to recall who the doctor was. But the doctor’s certificate and the police certificate were surely obtained. The documents were perfect. And the same night, maybe within 1 hour, we all left to Madras along with the body. I was sitting next to Swami. Mr. Raja Reddy was also there driving the car. Father’s body was coming in a separate car behind Swami’s. We reached Madras early the next morning. My elder brother and my mother, at that time, had gone to Vijayawada for a wedding. So, they were returning the same day. They got to know that Swami is coming to Madras and had also got some unclear news about my father merging with Swami. We drove straight to our house. Swami stayed at Madras for those 11 days in Mr. Venkateswara Rao’s house. He was there until the last ceremony was completed. He used to come to our house everyday and give us talks, encouraging us all the time. He said that my father had merged in Him. He affirmed that there was no punarjanma (re-birth) for my father. That was the first time somebody merged in Swami while on His lap. Everyday harikatha (singing of God’s glory) was held for all the 11 days in the compound of our house. Most of our closest relatives who were also present at that time were against Swami. Though, now everyone has come into Swami’s fold. Even though they were against Swami at that time, they had to attend the rituals for the eleven days. After everything was over, Swami came and blessed my mother and us, and then left for Brindavan. G. Venkataraman: Pardon me for asking this. But because all sorts of unfounded allegations have been made, I have to ask you this. Did your relatives, who did not believe in Swami, have any suspicion of any foul-play in all this? Mr. Praveen Venkatamuni: No, Sir. My relatives did not cast any ill-feeling, or uttered even a single adverse word about the whole incident. 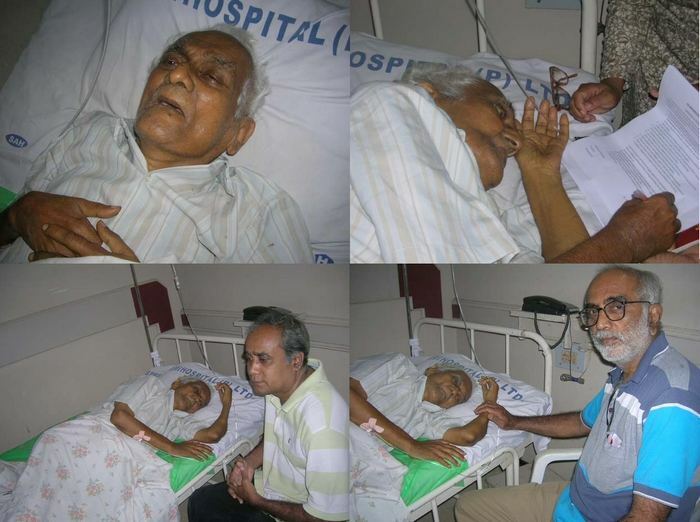 G. Venkataraman: So, they thought that his death was natural, as anyway, he was a diabetic. How old was he at the time of his death? Mr. Praveen Venkatamuni: He was 55. G. Venkataraman: So, there was no question of even a trace of any such suspicion by anyone, including your mother. Mr. Praveen Venkatamuni: Absolutely none, sir. Nobody had any suspicion, whatsoever. G. Venkataraman: Were you at any time conscious of the fact that certain things have been said against Swami about this incident? Or, are you surprised to hear what I told you just now? Mr. Praveen Venkatamuni: This is news to me. I am hearing about this for the first time. G. Venkataraman: You know, there are reasons, why I am asking you all this. First, you told me that your father passed away in 1966. The man who is making the allegation is quoting an article that was published in the ‘Indian Skeptic’ in August 1993. I am wondering, who is this man who came and investigated it? Did any of them come and ask you about anything? Mr. Praveen Venkatamuni: None so far. Nobody has approached me or my family members. G. Venkataraman: And still, they have written this. Here is a very strange sentence which gives a hint of how things are done. The person writes that ‘afterwards, the doctors who gave the death certificate also succumbed to death’. Everybody dies… The way it is written looks as something criminal was done to get rid of someone. You know, technically all that the sentence says is that the doctor is going to die. Everybody is going to die, for that matter. But the context in which it is written, is somewhat disturbing. The fact is that in 1993, for whatever reason, ‘Indian Skeptic’ – I had never heard of this journal before – writes an article and they don’t even bother to verify facts and this is quoted as the ‘holy truth’. Mr. Praveen Venkatamuni: Even I have not heard about this journal till date. G. Venkataraman: Now, let us spend the rest of the time the way it should be done. This is entirely for the record. First of all, let me start with the recall of what Swami said in 2006 in Trayee. You tell us the story after giving the background to it. Swami had called for a Trayee Session. I was lucky to be seated in the first row and was doubly blessed in getting the golden opportunity of pressing the Divine Lotus Feet of our Lord. As the session went on, Swami suddenly looked at me and said: “Whenever I visited Madras, I stayed in the house of Venkatamuni, which is in 2nd Cross…”. He again looked at me when I said, it was Surya Rao Road, to which Swami said “Yes”. Swami narrated that the house was filled with people when He gave darshan. Swami continued to say that He asked Susheelamma (Venkatamuni’s wife) whether Venkatamuni should be with her or be with Swami; and she had said that he should be only with Swami. Then Swami narrated that he had taken him to Kodai Kanal and once they returned, they stayed in Madurai. All were seated, when suddenly Venkatamuni told Swami that he was feeling giddy. Swami asked him to come to Him. Venkatamuni came to Swami, held His Lotus Feet and breathed his last while still holding onto His Lotus Feet. The second son of Venkatamuni who was just 15 years old was present when this happened. He had not even cried on seeing that his father was no more. He said that when Swami is with him, he does not need anything else. Swami sat by his side in the car all the way to Madras. Even Susheelamma did not weep as she was sure that her husband had attained mukti (liberation) by breathing his last at the Lotus Feet. She told Swami what else she can pray for? Swami remarked that after Subbamma, it was Susheelamma who used to cook food for Him. She used to pack and bring even the curry leaves from Madras for cooking. Once Swami asked her as to why she was straining herself? Then she sent the cook who was in their house to cook food for Swami. His name was Vishwanath. She told Swami that he would do the cooking for Swami. Even when she was 80 years old, she would climb the stairs up and down to serve Swami. Once she told Me that her children should be married. She had two sons and one daughter. Swami said that He performed the marriage of her first son, who has a son and a daughter. The son studied at Puttaparthi and Swami got him married too. He is now in Delhi employed in a reputed company. Swami said that He also performed the marriage of the daughter in Puttaparthi. He continued further saying that He performed the marriage of the second son of Sushelamma (i.e., myself) too. He asked me to stand up so that all could see me and asked to be seated. Then, Swami said that I have a brother and all members of my family pray to Swami for mukti (liberation) and all of them listen to the words of Swami. If these boys go out, they will get good positions, but they all obey the words of Swami, and they are all very happy. Whoever listens to the words of Swami will always be happy. Swami pointed out to me and said that while joining this college, my mother told me not to join any groups and should always think of Swami, do service and behave well. Then He asked, ‘Did she not tell you?’ I nodded my head. And then, Swami said that yesterday, my mother had come to Brindavan and asked Him how her son was doing. Swami told her that he was doing well and there is nothing to worry. Then Swami said that my father had so much confidence in God even from his tender age. Swami continued by saying that all should have faith in God. He said that nobody was as devoted to Him as Sushelamma. Her devotion to Swami had no limits; she was an example of a great devotee. Swami mentioned about each and every member of our family and how each of them listens and obeys His words with faith and love. He said that it requires the ‘punyam’ (good fortune) of countless previous births to be with Swami. Swami has set our family as an example for others. He spoke continuously without a break or interruption. Swami was very happy when He spoke about our family. And at the end He gave a big smile. This is how he has recorded the talk. Therefore, Basava Premanand blatantly lied about Mr. Venkatamuni. It is apparent that Basava Premanand received inaccurate and embellished information regarding the death of Mr. Venkatamuni. Instead of researching and verifying facts, Basava Premanand blindly believed and publicly published wholly inaccurate information about Venkatamuni’s death as the irrefutable truth. Basava Premanand cannot provide a scintilla of credible or verifiable evidence to back up his absurd claims that Mr. Venkatamuni was murdered and that the doctors who issued his death certificate were similarly murdered. 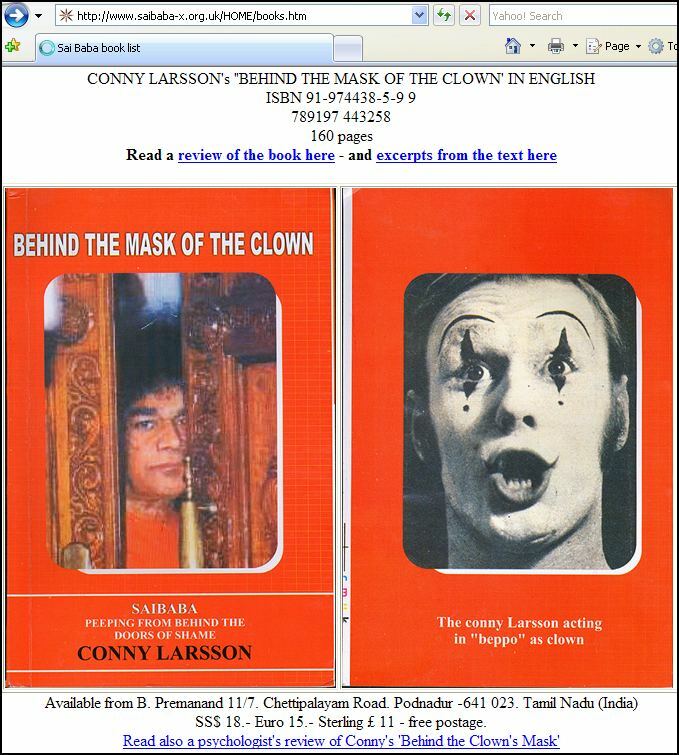 Basava Premanand is notorious for his frenzied, childish and laughable conspiracy theories against Sathya Sai Baba. Furthermore, Robert Priddy (one of the main spokespersons for the Anti-Sai Movement) widely dispersed Premanand’s gutter accusations about Venkatamuni on his Anti-Sai blog and Anti-Sai websites. 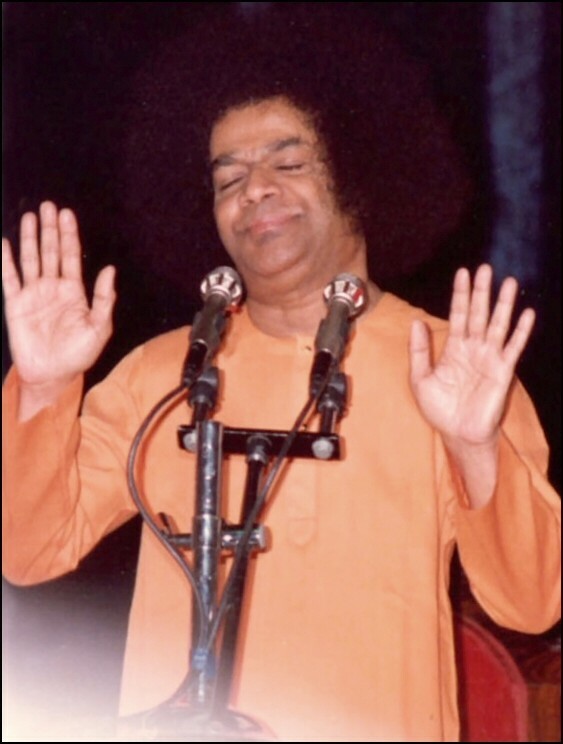 RadioSai’s rebuttal (obtaining a first-hand testimony from Venkatamuni’s son, recorded on video) is another elucidative example that exposes the gutter, smear, hate and defamation campaigns waged against Sathya Sai Baba by critics and ex-devotees. RadioSai: Do Attacks On Swami Have Any Message For Us?